A Skidata without keycaps, might be interesting if anyone want's to harvest a lot of MX clears. Any idea what this thing can be? Any idea what this thing can be/what that switch is? Yea, i had a feeling he was pulling peoples legs (and they seem to be falling for it to), just wanted to check if i was the one missing something here. 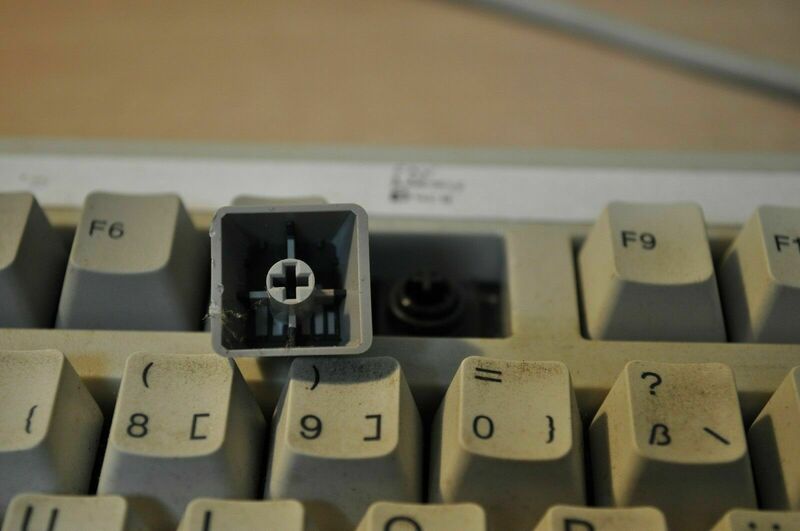 The seller claims its mechanical, but it sure doesn't look like any ibm keyboard i know of, so what is it exactly? 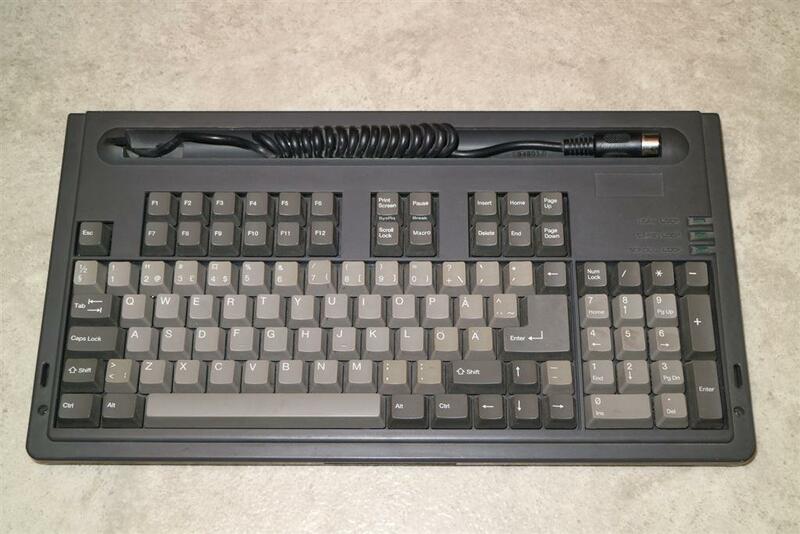 Not sure if he is selling one or 2 keyboards, but here is one of those Chicony KB-5582 with mx blues and trackball from Germany. Found myself an m4-1 some time ago, but it came without cables. An SDL from an model m seems to work fine for the keyboard, but what do i need to get the trackpoint working as well? connect the mini din or rj45 it also has? Does anyone know anything about this thing? Looks kinda like a dolch, but not anyone i know of. scottc wrote: ↑ The Olivetti is nice and you can probably get a bit more than 2-3 euro for it. They're pretty nice, as rubber domes go. Not sure who would buy it, though! Eh, i thought it was nothing special. thanks for the tip anyway though. Was planning on slimming down my collection by getting rid of some domes i don't really have any use for. Just wanted to check if i'm making any mistakes by putting them out for a 2-3 euros each. (the olivetti is missing its cable, works with an model m one though. Pretty sure this thing has normal Keytronic domes, but since i've never seen this particular model before can anyone confirm it? Chyros wrote: ↑ They're not supposed to be that yellow, they're normally all-beige. 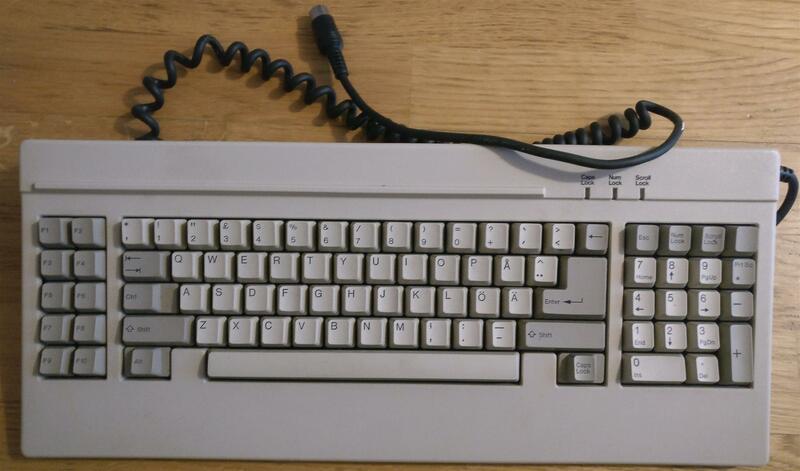 Some keyboards do look better with yellowing though, I picked up an excellent example of this recently ^^ . Yea i know, its just that it was so consistent that it almost looked deliberate.